Prague – the magical capital of the Czech Republic - lies on the meandering Vltava River and is overlooked by the one of the largest castles in the world. The city is steeped in rich culture and history and this evident in the atmosphere and the heartbeat of the city reverberating off many of its spectacular architectural gems. The country’s capital plays a significant role in the local economy and is increasingly a major European hub for international investment. There is key focus towards service based sectors which is complemented by the city’s location in the center of Europe. The city is a compelling amalgamation of historical and modern elements that continually attracts those interested in experiencing that indefinable and mystical element of the city. The investment climate in Prague offers excellent opportunities and conditions for businesses and private investors. This is highly evident in the property market that has witnessed a renaissance and brought forward strong yields. The Prague property market is becoming more sophisticated as investors look toward real estate opportunities which concentrate on quality and location and this reflects the stability and new stage of growth in the market after the initial property scramble. 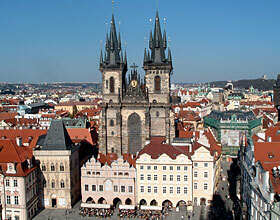 The market in Prague is highly competitive and has witnessed rapid capital growth acceleration. The high demand for residential property in Prague is driving the investment value of both new build developments and well reconstructed apartments forward. 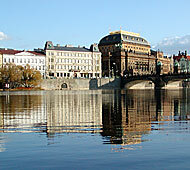 The Prague market is experiencing healthy levels of rental income. This is due to strong demand and an upward movement of averages wages. 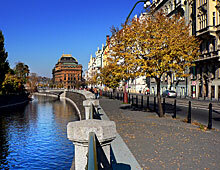 Consequently, gains of 10 to 20 % can be achieved across the Prague’s 10 key districts. Rental levels are strongly dependent on size and location within Prague development scheme. 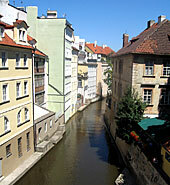 Prague’s real estate prices both in the purchase and rental markets set the Czech benchmark since the city is considered to be the most mature Czech residential market. Considering the population of Prague is approximately 1.18 million inhabitants out of a total population of 10.4 million, one can see that around 11 % of the population is concentrated in the Prague catchment area. Moreover, the city is further attracting migratory citizens in search of opportunities offered by the city as well as expatriates tendered in the numerous multinational companies residing in Prague. Thus, the demand for well located property has not diminished but is rather on the rise. Effectively, property purchase, rental and resale will remain strong. The city boasts one of the most effective, reliable and highly integrated public transportation systems in Europe and thus a substantially large majority of property developments are easily accessible. Developments strategically situated on public transport arteries significantly increase in value and can claim higher rental income levels. 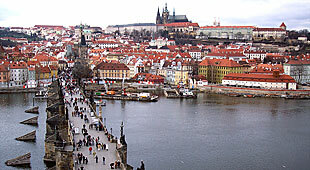 Prague is increasingly becoming a beacon for international companies who wish to establish their branches or even European Headquarters in “the city of a thousand golden spires” – as Prague is also known - and capitalize on the excellent strategic location of the city and strength of a large and highly skilled labor pool. This is witnessed by the increasing development of business parks which cater to the international requirements of multinational companies. 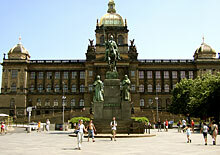 Charles University - founded in 1348 – the oldest university in Central Europe and belongs to the oldest universities in Europe. Most districts in the best parts of P 4, 5, 6 can provide its residents with an oasis of tranquilizing green areas (gardens, parks, woods make up about 45 %, or 14.250 acres/5.769 hectares of the city’s land area), excellent sport facilities and suburban style shopping in local hypermarkets and malls nearby. It is relatively easy to get anywhere you want in Prague once you become familiar with the transportation system, consisting of metro, bus and tram lines that reach every part of the city. The public transport system is so thorough because, up until a few years ago, cars were considered a luxury item, and, to a great extent, they still are. 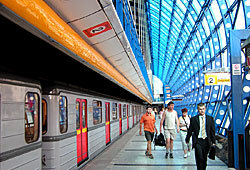 The metro in Prague is simple and efficient. There are three lines - A, B and C. Metro operates from 5 a.m. until midnight and metro trains come at 2-10 minute intervals. Trams are a much-loved aspect of the Prague’s transport system. They ride around the city center, with a few lines stretching out to the edges of the city. Buses fill in the gaps left by metro and trams, and are therefore far more prevalent in the outskirts of Prague. Like night trams, night buses run between midnight and 4.30 a.m.
Good public transportation allows you to choose to live wherever you feel most comfortable. Most houses that were recently renovated or newly built can be found throughout the city but most expatriates ask for houses and villas in areas close to schools (Kunratice, Nebusice, Horomerice) or at prestigious addresses like Hanspaulka, Bubenec, Stresovice, Brevnov, Hrebenka, etc. The more remote parts of the city (Zbraslav, Ujezd, Radotin, Branik…) can have lower prices, but not as a rule.